If you're looking for PHP-friendly hosting, you're looking to build a customized and dynamic website with the top-notch functionality that this favored programming language offers. Fortunately, some of the best, most affordable web hosts support PHP. Our experts took the top PHP-oriented plans for a spin, comparing PHP versions, performance, customization, and more. Here are the top options for those seeking "PHP hosting:"
Don't have time to browse our PHP hosting reviews in full? No worries — our hosting experts put together a table summarizing the best of the best PHP hosting plans. While looking at your options, you'll want to compare PHP hosting cost, server uptime rates, and the software options the provider makes available. Looking for something other than php hosting? If you're a developer, having a hosting plan compatible with your language of choice is crucial. We get it! Let’s face it: Static webpages are a thing of the past. In an online world laden with skateboarding puppy videos and celeb clickbait slideshows, we land on a barebones website and naturally assume it was built when dinosaurs roamed the Earth. Alright, I may have gotten a tad carried away there, but notwithstanding, the call for a dynamic scripting language is more relevant than ever. PHP is one of the foremost programming languages, beloved by devs of varying experience levels and increasingly looked to by site owners because its rising popularity means PHP developers are easier to find and to finance. These days, most any web hosting provider worth a dime is going to accommodate the widely used programming language. The best, however, make the language very accessible, if not pre-installed. For example, iPage lets you seamlessly switch between PHP versions. Leading hosts like InMotion also house a breadth of knowledgebase articles and expertise to help you troubleshoot errors in your PHP code. Not to mention, their technical support experts are available 24/7. They may not be permitted to physically debug your code, but they can certainly provide insights into what settings or plugins may be giving you grief. Just as developers have their choice of development environment — whether it be a simple text editor or an IDE or the like — hosters offer different environments in which to house your PHP-based project. As I alluded to earlier, most shared hosts accommodate PHP. Next, we’ll cover the crème de la crème of more advanced hosting options. If you’d like to host your PHP-based website on a cloud-based, or virtual, server, you’ve got some combination of the following on your mind: Which PHP versions are supported, and can I use handlers to customize? Will my server be CGI-friendly? How much disk space am I getting? I could go on, but you get the point. InMotion hits PHP hosting out of the park, allowing customers to choose one, or multiple, PHP versions. Their free SSDs will make your PHP-based site load 20 times faster than average, and they offer guides for updating your php.ini file. With Liquid Web’s dedicated server options, you get your money’s worth in Heroic Support™ and hardware performance. They boast a redundantly built, multi-tiered network; a commitment to custom-built add-ons for extending security, privacy, and performance; and an awesome uptime rate guarantee and SLA. Also, managed hosting is this team’s strength. Let Liquid Web handle your infrastructure while you perfect your PHP code by selecting their core- or fully managed hosting services. Any hosting shopper is going to consider cost, but a savvy hosting customer knows to weigh the number of quality features against the price tag. A host promising the world when their reality is subpar support and limited customization control isn’t worth the $3, $5, or FREE price tag they dangle to catch your eye initially. We get this question a lot: “What about free ______ hosting?” You can fill in that blank with just about any hosting specialty imaginable, and the answer remains: Free hosting options exist, but they’re not worth your while in the slightest. 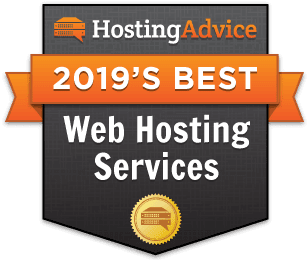 We recommend aiming for a low-cost, high-reliability hosting alternative — iPage, Bluehost, or A2 Hosting, to rattle off a few better-than-free options — to the free crap. Here’s where the real value offer comes in. If you want a bargain in PHP hosting, look to the providers who tout longstanding reputations in the industry, a laundry list of PHP-specific features, and a credible support staff. Above is just a smattering of the tools and tricks a hosting provider might offer for PHP lovers! Begin Coding With The Best Host for PHP Today! You’re all set to begin designing and developing your dream, non-dinosaur-looking, dynamic site! Of course, if you want to incorporate dinosaurs into the actual design, we wouldn’t object. The providers ranked in our PHP hosting reviews are more than qualified to help you custom-create your next project — whatever that may be. Ready, set, code! !